Threading is an ancient Indian method of hair removal that uses a cotton thread that is skillfully rolled back and forth along the brow line. The twisting action of the thread traps the hairs and the hair is pulled up and out of the follicle in different directions. Gives a more natural look: threading leaves a more natural shape and beautiful definition. Waxing is the removal of hair using wax to pull out the hairs from the root in one direction. There are two types of waxes: soft wax and hard wax. Soft wax is gooey in consistency and is applied and removed using wax strips. Hard wax is applied and removed after being let slightly cooled. Can be done on most parts of the body: Good for large areas of the body that need hair removal and for delicate areas like the under arms and bikini line. Choosing whether to get threading or waxing ultimately depends on which area of your body you’d like to remove hair from. Threading is a good choice for those who have sensitive skin, are short on time and want a more natural looking eyebrow. Waxing is ideal for those who have a lower pain tolerance or want hair removal on other parts of their body including legs, arms, back and underarms. 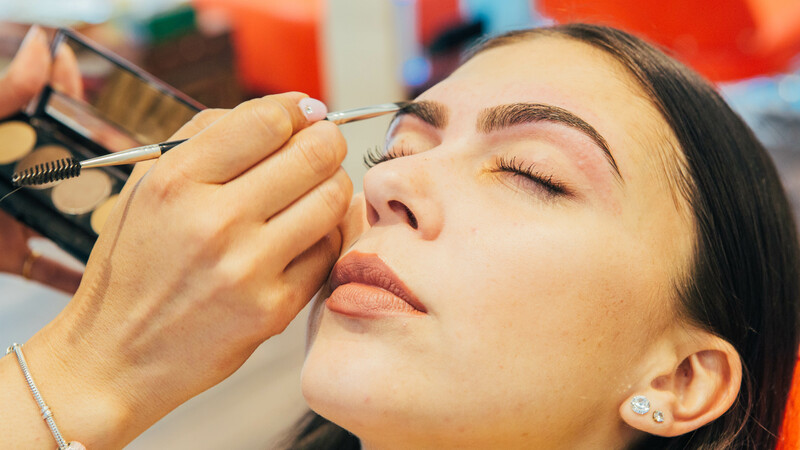 At Blink Brow Bar, we’ve perfected threading and waxing. Our expert estheticians offer nothing but the best personalized beautifying treatments tailored to suit you. We will help you discover the beauty in your brows to enhance your natural beauty and allure.